After searching thoroughly derma e Hydrating Night Crème with Hyaluronic Acid reviews, my conclusion is that users are highly satisfied with the benefits of this natural night cream for their face, neck and décolletage. Finding a night cream that doesn´t feel heavy and greasy, like a lot of the night creams on the market today, is free of harmful chemicals and actually does a lot to hydrate and deal with aging issues is a big plus. The above advantages which one can find in derma e night cream together with the fact that both people with dry and oily acne prone skin have only good things to say about the product not clogging pores, improving the skin´s texture and making it look great, can only lead to the conclusion that this is a night crème which people love. It is quite interesting to notice how overwhelming those reviews are with people wishing the company always created this cream. 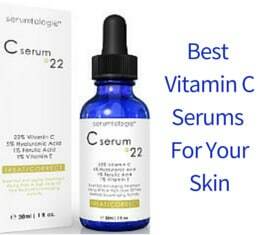 It is also worthwhile mentioning that people with sensitive skin report very good results and no irritation whatsoever. Now that you have a general idea of what this cream is all about, let´s have a look at its features. Intensively nourishing and rehydrating night cream. Increases elasticity and firmness of the skin. Main ingredient is hyaluronic acid. Contains potent antioxidants like vitamins A, C and E as well as pro-vitamin B5. 100% Vegan and GMO free. Free of parabens, sulfates, mineral oils, lanolin and gluten. Incredibly low price on Amazon. 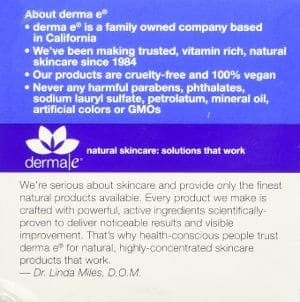 The company suggests that derma e hyaluronic acid night cream is ideal for dry and dehydrated aging skin although there are a lot of people supporting that it is also great for dehydrated oily and acne prone skin. The reason for that is that this cream doesn´t clog the pores, absorbs well without leaving any oily residues and actually balances skin without triggering any unwanted effects that are bad for prone to blemishes or even sensitive skin. This is an extra rich, but no way greasy, cream which can thoroughly moisturize, nourish and plump skin to minimize wrinkles and fine lines. Its main ingredient, which is hyaluronic acid, works effectively to soften, smooth, plump, rehydrate and tone the complexion while vitamins A, C and E provide strong anti aging benefits. Organic aloe vera is soothing while organic green tea leaf extract has antioxidant properties which help the skin be protected against free radicals and the negative environmental impact. On the company´s official site, a more updated ingredients list is provided which is also followed by the previous list so that people are better informed. The latest list of ingredients goes as follows: Purified Water, Glycerin, Caprylic/Capric Triglyceride, Macadamia Ternifolia Seed Oil, Sodium Hyaluronate (Hyaluronic Acid; Actimoist® Bio-1), Ascorbyl Palmitate (C-Ester), Tocopheryl Acetate (Vitamin E), Retinyl Palmitate (Vitamin A), Panthenol (Provitamin B5), Allantoin, Organic Camellia Sinensis (Green Tea) Leaf Extract* (.1%), Organic Aloe Barbadensis Leaf Extract* (.1%), Cetyl Alcohol, Stearyl Alcohol, Dimethicone, Xanthan Gum, Ammonium Acryloyldimethyltaurate/VP Copolymer (Aristoflex®), Phenoxyethanol, Ethylhexylglycerin, Plumeria Blossom Fragrance. People seem to be thrilled with the skin benefits of this non greasy derma e night cream which is a product that goes on smoothly, leaving a silky finish and providing perfect hydration. 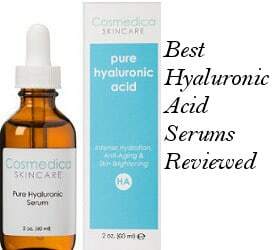 A lot of them have already been familiar and very pleased with other derma e skincare products and after trying this hyaluronic acid night cream, they share a very positive feedback about this product as well. Some of them use it both during day and night. They are particularly happy that this is not a heavy and difficult to absorb night cream which messes up with their pillow and are really glad that it does not trigger any breakouts but, on the contrary, it works well towards balancing and improving the whole texture of their skin, making it more dewy, soft, matte and clear. They also love the fact that it makes their complexion softer and plumper while a lot of them report that it provides firmness as well. A few of them have stated that it helped them deal with more tricky skin conditions such as dryness, greasiness and rashes. Others state that it closes pores up and makes them smaller. Users are very pleased with the anti aging effects of this product such as visibly plumping up the skin, making wrinkles less noticeable and fine lines disappear. Apart from being mentioned that a little of this cream goes a long way, it is also said how amazingly low its price is at Amazon. 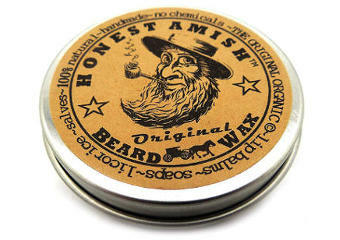 This cream has a scent which people find nice or at least not unappealing. Few of them would prefer the cream to be contained in an airless tube instead of a jar so that its ingredients are better protected. Some users didn´t find anything special in this cream but had no regrets of buying because of its low price. Also, although most people report no irritation for sensitive skin, I would have to mention that one preservative in this cream which is Phenoxyethanol, can be irritating to some types of sensitive skin. 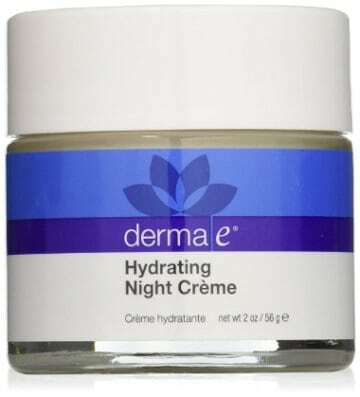 After reviewing derma e Hydrating Night Crème with Hyaluronic Acid, I would say that this is quite a popular natural night cream among users who, in their majority, seem to be very pleased, even thrilled, with its positive benefits to their skin. The fact that this is not a heavy night cream which contains some good quality natural active anti aging ingredients makes it a very appealing option if you also take into consideration of its very low price offered on Amazon.